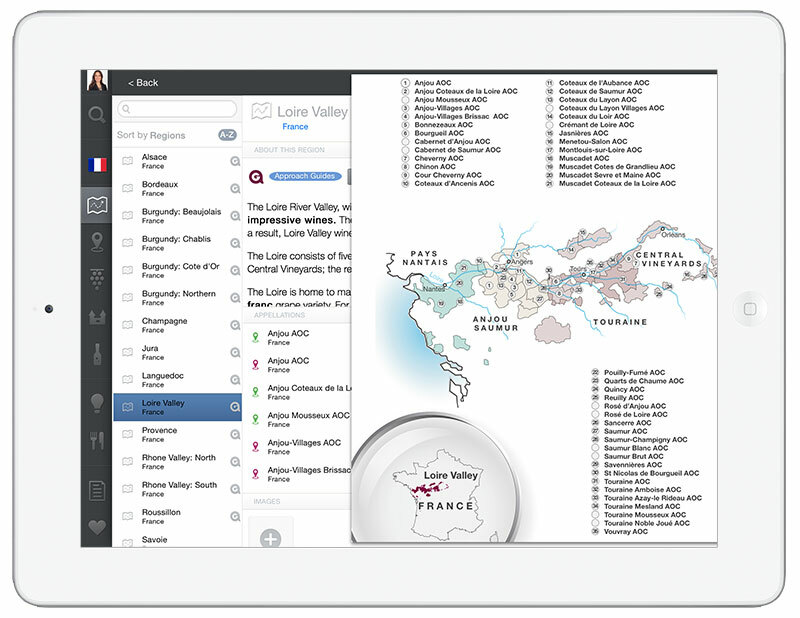 Approach Guides offers the best French wine app for the iPhone and iPad, giving you all the information you need to learn about and choose wines from France. Use our top-rated wine app on your iPhone or iPad to choose wine from a wine list or store like a professional. We highlight French wine regions, appellations, and grape varieties that are most likely going to give you a great wine every time. Simply look for our logo to identify our favorite wine regions, appellations, and grape varieties, chosen for their overall consistency, quality, and price-value. Approach Guides specifically designed our French wine app to allow anyone to make a well-informed choice without having to know every bottle’s ratings. We agree that ratings are valuable, but often not when you are trying to pick a bottle of wine at a restaurant or wine store. What happens when you are faced with a large wine list or don’t have an internet connection? Are you going to check the rating for every bottle (and hope that it is actually rated) or step away from the table to get a better signal? Probably not. This is why we developed an approach to help you choose your next bottle of wine and give you the confidence to order without needing individual bottle ratings. Visiting France and want to ‘drink local’? No problem! Just search by region, appellation or grape. And the best part? Our wine app never requires an internet connection, making it ideal for travelers who do not have an unlimited international data plan (no expensive roaming charges).